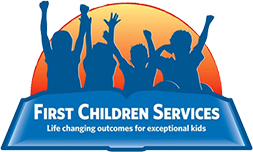 First Children Services offers social skills groups for children ages 3-21 in our New Jersey and Pennsylvania locations. Social skills do not come easily for all children and the lack of appropriate social skills can often impact the child’s interaction with peers making school and recreational activities even more challenging. By interacting with others and engaging in social norms, such as holding the door open for a person, a child with social skills deficits can learn to develop meaningful relationships and minimize stigmatizing behaviors. First Children Services offers social skills groups to teach necessary social skills to interact appropriately in society and with peers. Our social skills groups are designed and supervised by a First Children Services board certified behavior analyst (BCBA). In these classes, children learn social skills, self-management, and problem-solving skills in a fun, interactive way. Social Skills Groups include play groups, lego groups, Minecraft groups, and teen and young adult groups. Available groups differ by location. First Children Services provides all materials needed for our social skills groups. Please contact our service coordination department at 888-966-0746 or referrals@firstchildrenservices.com with any questions.